Jill finished her sister's wedding shawl! She used the Tiong Bahru pattern by Asa Tricosa, using Blue Moon Fiber Arts Marine Lace in Everyday Gray. 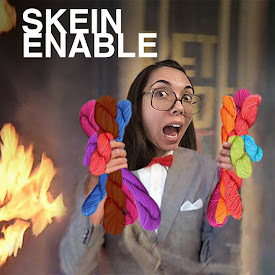 She used just a bit more than one skein. Jill's working on True Friend by Veera Valimaki in Dream in Color Jilly in Brilliant and MadTosh Merino Light in Silver. She also started a Seamless Knit Mother Bear out of Knit1CrochetToo Paintbox in the 01 colorway. This is for the Mother Bear Project. Jill likes the Ashland pullover by Julie Hoover from Brooklyn Tweed Fall 15. There are some cute stuffed toys that Jill is into, including Fawn by Claire Garland and Karen's Frenchie by Sara Elizabeth Kellner. She was cracking up over the Bristol Chart Scarf by Karin Aida (same designer as the Not for Trump Supporters hat). 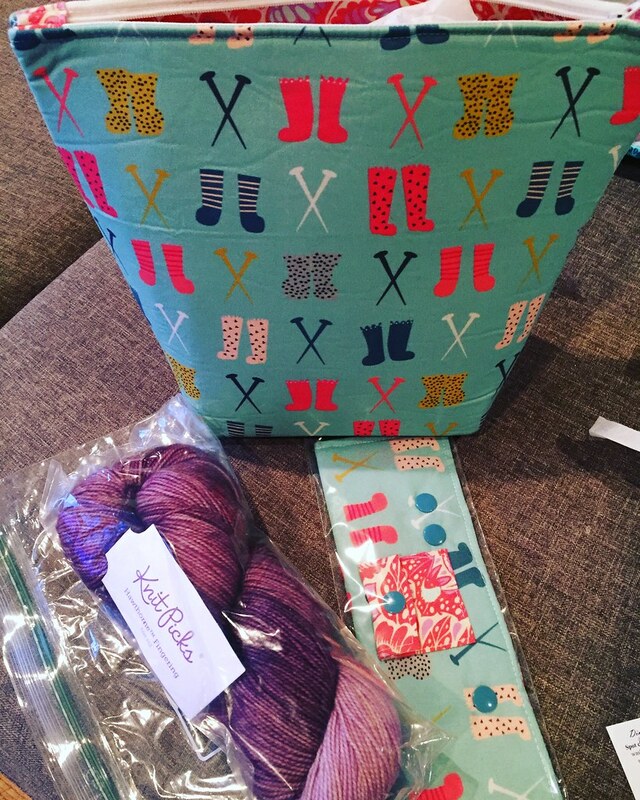 Lisa Souza Deluxe Sock! in Lakeside and Cornflower. Din Tai Fung - Taiwanese! The Void - VR "paintball"